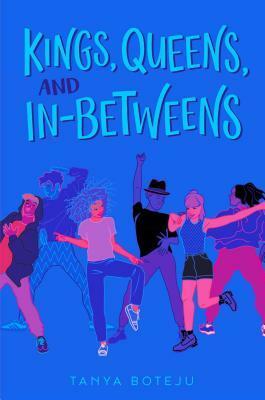 Judy Blume meets RuPaul's Drag Race in this funny, feel-good debut novel about a queer teen who navigates questions of identity and self-acceptance while discovering the magical world of drag. Perpetually awkward Nima Kumara-Clark is bored with her insular community of Bridgeton, in love with her straight girlfriend, and trying to move past her mother's unexpected departure. After a bewildering encounter at a local festival, Nima finds herself suddenly immersed in the drag scene on the other side of town. Macho drag kings, magical queens, new love interests, and surprising allies propel Nima both painfully and hilariously closer to a self she never knew she could be--one that can confidently express and accept love. But she'll have to learn to accept lost love to get there. From debut author Tanya Boteju comes a poignant, laugh-out-loud tale of acceptance, self-expression, and the colorful worlds that await when we're brave enough to look. Tanya Boteju is an English teacher and writer living on unceded territories of the Musqueam, Squamish, and Tsleil-Waututh First Nations (Vancouver, Canada). She believes feminism, diversity, committed educators, sassy students, and hot mugs of tea will save the day. She is also grateful for her patient wife who builds her many bookshelves! Tanya may have been a drag king in her well-spent youth and knows that the queer community is full of magic and wonder. With Kings, Queens, and In-Betweens, she hopes she's brought some of that magic to those who need it most.